Love energy is associated with your heart centre. Your heart chakra is known as the seat of your soul. Imagine it as a magical portal. 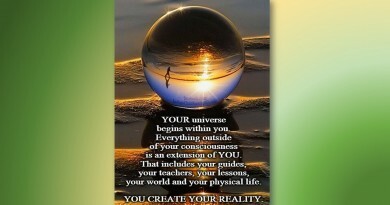 When you access it, you connect with all that is. It is where you can cross from your lower self (lower chakras) and unlock the doors to your higher self’s wisdom (higher chakras). Think about it for a moment, how many different emotions you feel in a day. Emotions shouldn’t be scary, they are the language of your soul. You just need to be able to tame them and keep them under control, so you can raise your energy vibrations. How can you possibly keep track of so many emotions? The good news is you don’t have to. Luckily we only have two basic emotions with opposite charges, love and fear. All the other emotions can be divided into positive and negative ones. 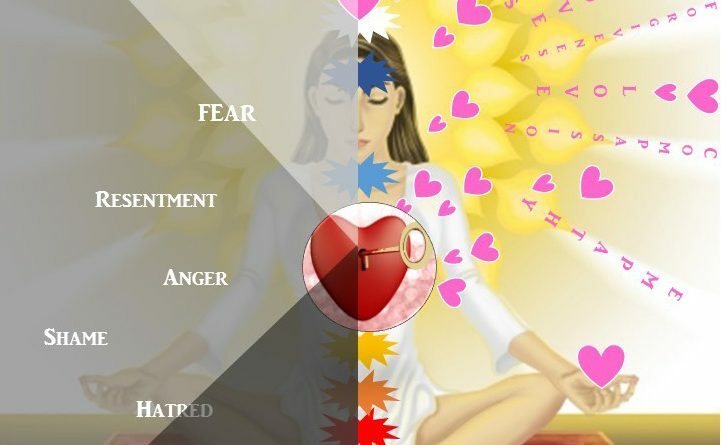 All positive emotions are coming from love, and no surprise, all negative ones are from fear. Your aim is to get rid of the fear based ones, and nurture the ones rooted in love. Do not worry, it is impossible to feel good feelings all the time. What matters is your dominant emotions, the ones which are constantly lingering around. If they come from fear your vibration stays low, however if they come from love you are raising your vibrations. 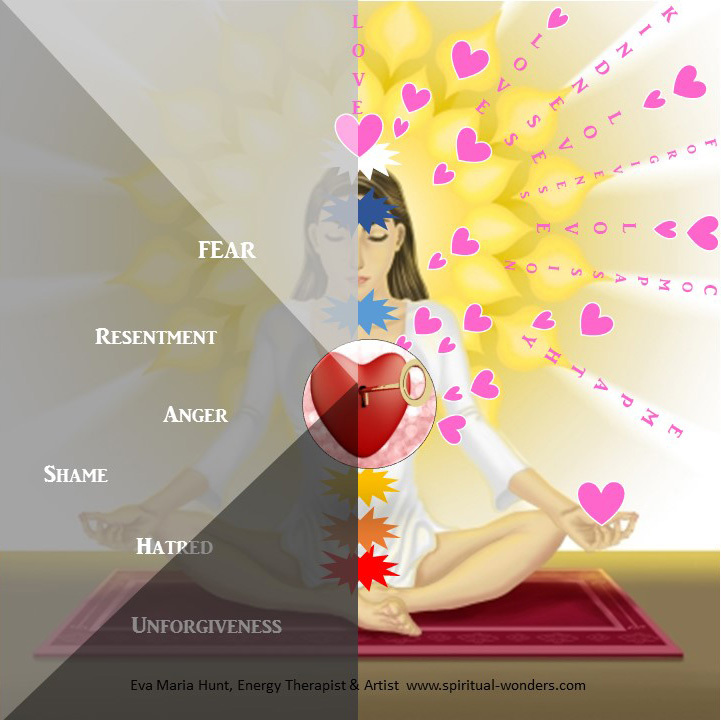 Feeling fear: anger, resentment, hatred, unforgiveness, etc. brings your vibration down. When replacing it with love: compassion, kindness, empathy, etc. it raises your vibration straight away. It sounds very simple, right? How can you actually do it? 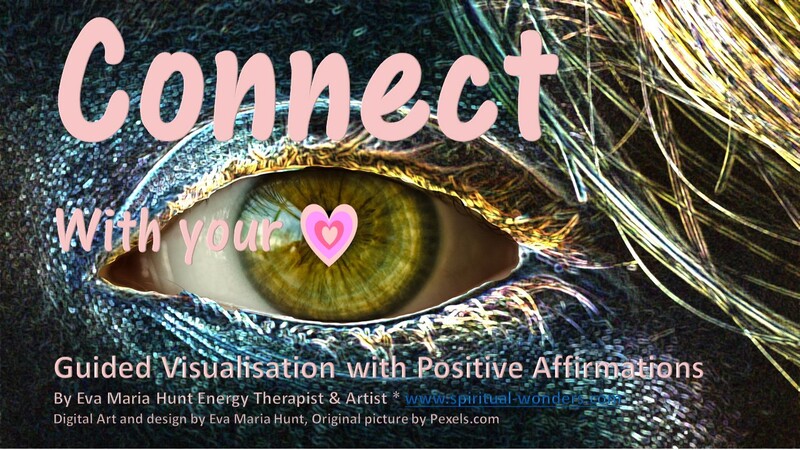 When you are listening to a guided visualisation, you are occupied by listening and imagining what you are told. The music calms you down and you start breathing slower and deeper, so your brain sends out signals to your body to start relaxing. Positive affirmations are powerful tools to change your thought process and empower yourself. How positive affirmations work? Thoughts are energy waves therefore positive affirmations are part of energy healing. What you focus your mind on, will follow. Your subconscious mind is constantly listening to commands coming from your brain. If you tend to run negative thoughts, in your mind, such as I am a failure, I can’t do it, I am not good enough… you are actually giving these commands to your subconscious creating negative patterns in your life. The good news is by changing your thinking patterns and the words you are using you can start raising your energy vibrations quickly and easily. 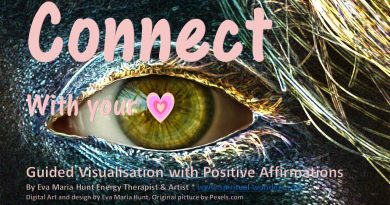 I created a powerful audio for you, in which I combine the two: Connect with Love, Your Heart’s Creative Energy – Guided visualisation/ relaxing meditation with positive affirmations. Download it, so you can listen to this approx 10 minutes long recording, any time during the day, every day, when your worries and fears are starting to bring you down. This beautiful meditation helps you to connect with Love in your heart. It is relaxing and calming and the “built in” positive affirmations will surely lift you up and help you to find your inner peace and keep your energy vibrations high. ← Light vs. Darkness – Raising Consciousness– Part 2. Feeling Anxious, Worried, Agitated? Longing to find that very needed Inner Peace? Do you want to help people, who lost their loved ones in recent attacks in Paris or suffering all over the world? Here is a powerful tool: Intention.